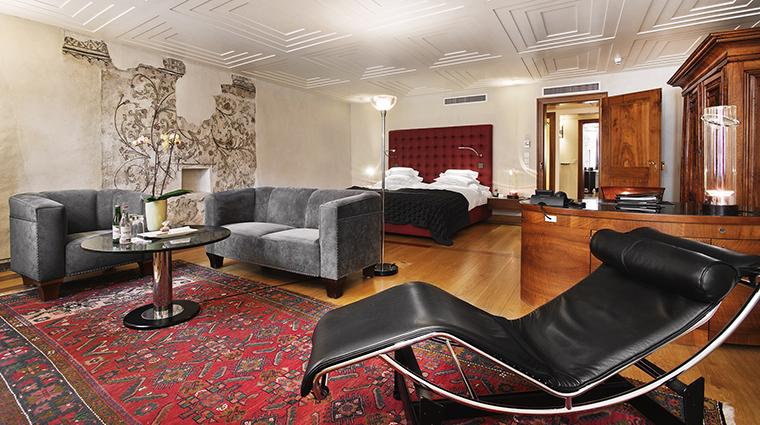 Widder Hotel is an art-and-design masterpiece in the heart of Zurich’s Old Town. Composed of nine medieval townhomes ingeniously joined together through modern passageways, the Widder balances impossibilities in style.While architectural elements, like carved beams and frescoed walls highlight its historic heritage, cutting-edge curated interiors push thrilling, edgy boundaries. 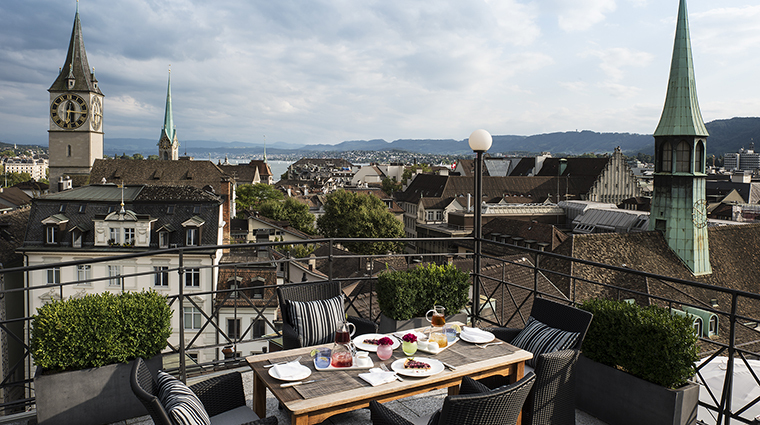 It boasts a prime Old Town location, steps from the bustling Bahnhofstrasse and an easy walk to Lake Zurich, but it never feels crowded or impersonal. Each of its 49 rooms has a one-of-a-kind design, complete with exquisite collector-quality furniture and paintings, but the atmosphere is homey and relaxed.And the restaurants and bar easily stand on their own as some of the best in the city. The result is an adventure in classic Swiss precision, tradition and understatement that will appeal to businesspeople, art lovers, European vacationers and local city breakers alike. 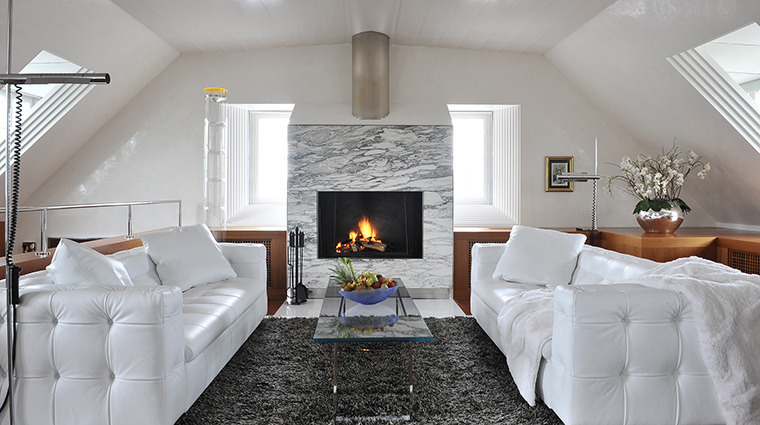 UBS bought the property in 1984 and gave star Swiss designer Tilla Theus carte blanche on the art and décor budget. Thus, walking through the luxury hotel is like visiting a museum. 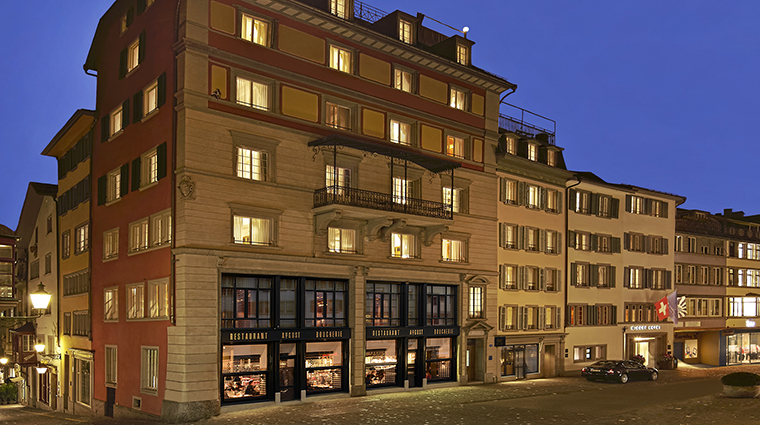 Set in an ideal location in the heart of Old Town, it’s the near business district, Zurich’s top sights, designer boutiques, best restaurants and nightlife. Rooms are individually designed to make you feel like you’re entering their own home. The Widder Restaurant will pick up and bring home guests who live locally in its exclusive Maserati limousines if requested. Seven conference/banquet rooms are available to rent. They range in size from 290 to 2,368 square feet and are adorned with artwork by modern masters like Giacometti, Warhol and Rauschenberg. Outdoor dining and lounging are available in the summer in the Widder Garden. For smokers, the Turmstübli, adjacent to the Widder Restaurant, allows diners to light up inside. Guests determined not to miss a workout can move their muscles in a stunning, wood-paneled gym that holds state-of-the-art Technogym equipment. 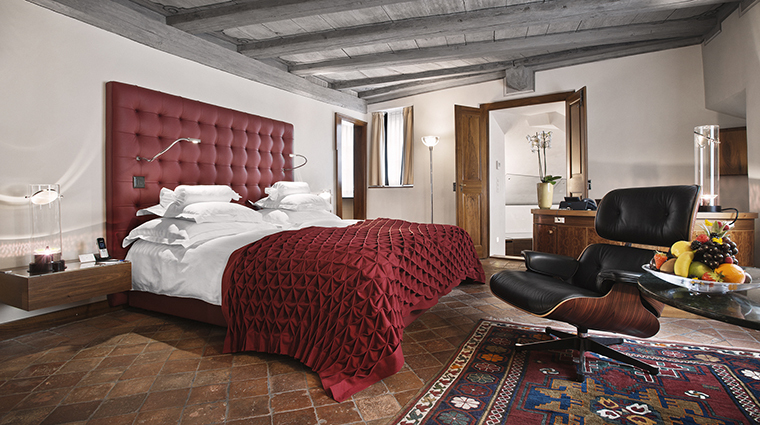 The boutique hotel’s 49 rooms are divided into three categories, including 14 suites, but each has its own theme and design. Design Doubles run 323 to 377 square feet, Lifestyle Junior Suites range between 377 and 484 square feet, and Lifestyle Suites are 484 to 646 square feet. Rauschenberg, one of the Widder’s first guests, liked the Old Town hotel so much that he created a site-specific work that still hangs in the Penthouse Suite. Many of the rooms have distinctive technical features, like floor sensors that will turn on nightlights and televisions in the shower. The Widder Restaurant, which is run by executive chef Tino Staub, serves Continental cuisine. AuGust restaurant is designed to look and feel like a butcher shop, but the hearty meat-based cuisine is invigorating and inventive, and the place is always packed. Wirtschaft Zur Schtund specializes in Swiss comfort food, like raclette (a dish that involves heating up a half wheel of cheese and scraping it off onto potatoes, vegetables and meat), rösti (a potato fritter), flammkuchen (flatbread) and fondue in a casual tavern atmosphere. Pop-ups have included Forest, a raclette-only intimate space created to feel like winter woods.